Believe it or not, sometimes I rather fancy taking photos of things other than bicycles. Street photography. Urban life. What have you. 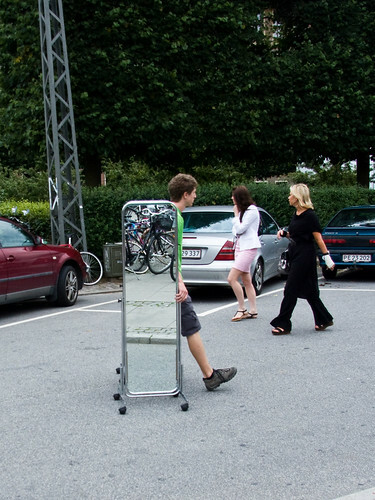 Man walking with mirror on wheels. Cool shot. Started shooting. Realised whilst shooting that bicycles were reflected in the mirror. Stopped shooting, irritated.